The Garden Bar at the rooftop offers a welcoming open air experience with a panoramic view of the Ocean. 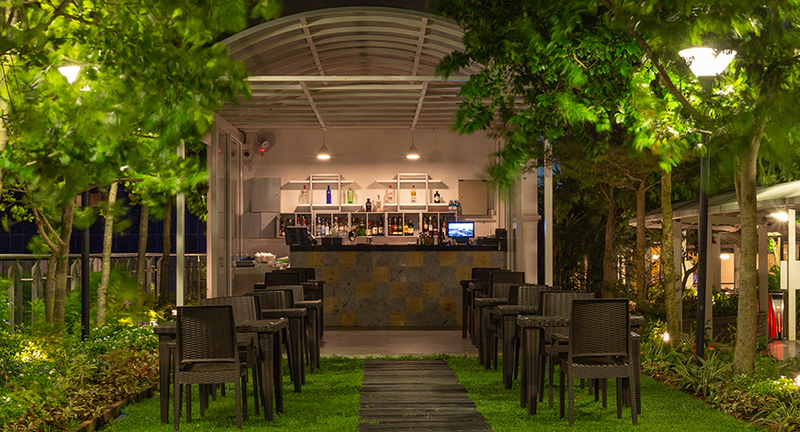 Here you could enjoy a wide array of creative cocktails, superior collection of liquors & spirits with the soft tunes of music in the atmosphere making the time at the bar unforgettable. Also you could enjoy a swim and wind down to the water of the picturesque & iconic Infinity pool.